According to Asphalt Roofing Manufacturer Association, nearly 80% of all homes in the United States have asphalt shingles on their roof. Needless to say – that’s a bunch of homes. As roofers, we prefer asphalt shingles because of their straight forward installation and durability, however as homeowners we love asphalt since it’s so easy to fix and maintain. In fact, with the correct tools and safety mindset, we believe any homeowner with an asphalt shingled roof, should be able to fix minor roofing repairs quickly and cheaply. 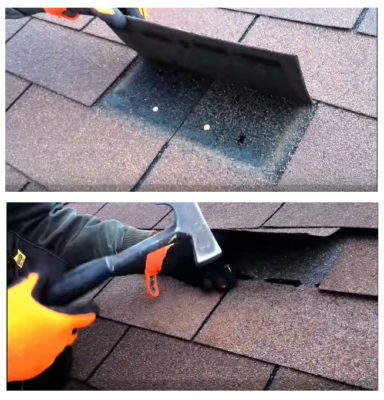 With this in mind, this article provides an overview to homeowners of tips and techniques for repairing and replacing asphalt shingles on their roof. Is my roof more than 20 years old? Do you feel comfortable with heights? Is your roof pitched less than a 7/12 Pitch (30¼ Degrees)? Can you see damaged shingles from the ground level? Is the roof surface safe to walk on? In other words: Is the roof dry, free from ice with decent grip on the shingles? Do I have a stable extension ladder? If you’ve answered yes to the majority of questions above, and you have the dedicated time, you may want to consider assessing and repairing the asphalt shingles yourself. Now to expound a bit on the questions above for safety sake, roof repairs should be scheduled to correspond with a dry day in the afternoon – never attempt to get onto a roof that is icy, wet or covered in morning frost or dew. Additionally, the shingles tend to be more pliable and less likely to crack. Next take inventory of what you’ll need to do to complete the job safely. It’s not a good idea to shortcut here so make sure you have a good extension ladder and stabilizer. Once on the roof, look for problem areas near the edge of your roof, at the pitch or near eves or dormers. 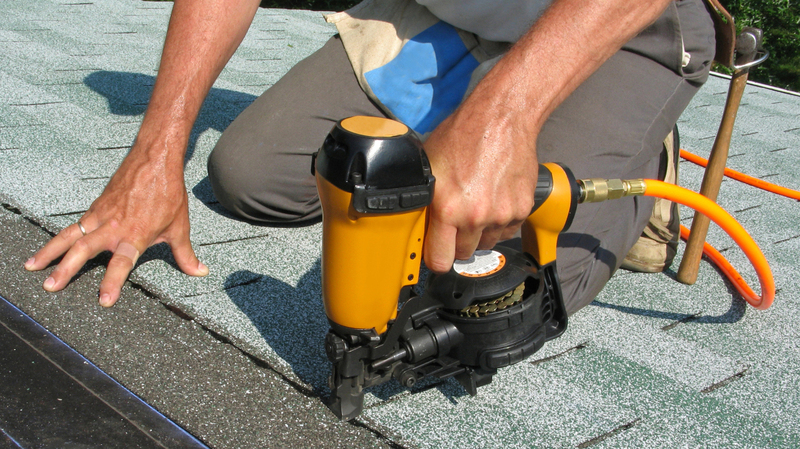 If you find holes in the shingles or parts of a shingle are missing, your best bet is to replace the whole shingle. Typical asphalt shingles can cost between $15 to $20 per square ft. depending on the style of shingle, but you’ll need to buy them by the bundle. If possible, try to find the perfect equal to the existing ones on your roof. If not, go for the closest match. If the shingles are simply cracked or torn, you can repair it instead of replacing the whole shingle. Apply a thick layer of roofing asphalt sealant under the crack, next a second bead of sealant should be applied by pressing the shingle down. Make sure you spread the sealant on the shingle with a small putty knife. Bring a towel with you to clean up any excess sealant. Any DIY roof repair should be undertaken if you have the experience of handling such projects in the past, but if you don’t have the time, inclination, or the right tools and equipment to climb the roof and perform the necessary repairs safely, it’s best to leave the project to an experienced contractor in the area. A good roof repair contractors must be knowledgeable in the proper roof repairs and should have the latest safety gear and tools to complete even the hardest roof repair jobs. Make sure the contractor is licensed and bonded. They should have adequate insurance covering the entire period of repairs. General liability and worker’s compensation nowadays are an absolute must! Looking for residential roof inspection, emergency roof repair or installation services in or near the NC Research Triangle? Give TRI Roofing a “Tri”. We offer competitive roofing pricing on new installs or repairs and have a dedicated, experienced staff standing-by to help answer questions and walk you through all the viable options to best fit your needs. 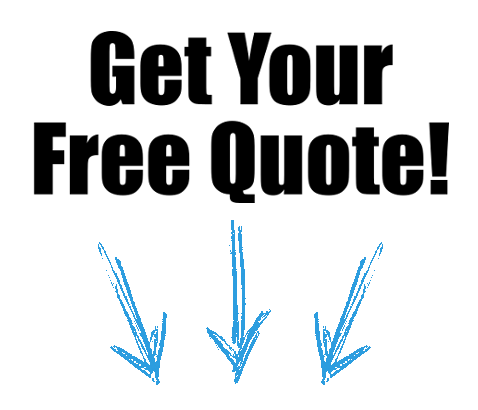 Give us a call today at (919) 296-0017 and one of our trained office staff will be happy to help!